Greg is recognised for his unswerving professional, sincere and ethical approach to his profession. He enjoys the challenge, rewards and versatility associated with a career in the real estate industry. 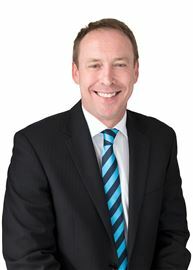 Prior to entering the property world some 23 years ago in Brisbane Australia, Greg held senior management and marketing positions with two large public companies until 1987 when he decided to move out of the corporate arena and into the property sector where he has found reputable success and huge satisfaction. Greg still holds to this passion today, having spent seven years as joint director of two highly successful, multi award winning Harcourts Queensland real estate businesses. He has been fortunate to achieve local and national recognition with numerous marketing and management awards. His focus has been to lead by example and build a united sales and marketing team around a client focused business. Having experienced booming markets as well as tougher times, his skills in marketing and negotiating with buyers together with his commitment to exceptional service, are what Greg's clients value most. Described by a previous client as a person of honesty, integrity and talent, he focuses on simplifying the sales process through upfront communication and clear expectations. Whilst he applies enthusiasm, diligence and attention to detail to the pursuit of optimal results, it is his sophisticated negotiating know-how, gained through years of experience and hundreds of transactions, that differentiates Greg. Whether it is the marketing of an original hillside/bayside bungalow, a modern architecturally designed apartment, contemporary family masterpiece or prestigious luxury property, Greg offers a diversity of expertise that is second to none. When looking for an agent who is passionate and knowledgeable, as well as genuinely understanding of your needs and expectations, Greg is an ideal choice when considering your most valued possession, your family home. On a personal note Greg enjoys spending time with his adult family, taking time out to enjoy a round of golf, the odd tramping trip and travel. Armed with a strong work ethic and motivated by a relentless desire to succeed, it’s fair to say Alistair has always been driven – and that’s not a pun about his background in car sales! For more than three decades he worked in the automotive industry, learning the in’s and out’s of sales, marketing and management, and developing an innate ability to forge relationships with people from all backgrounds and walks of life. Then, in search of a new challenge, Alistair exchanged cars for property, embarking on a career in Real Estate and never looking back. Having lived in Sumner/Redcliffs for more than 25 years his local knowledge, combined with his tenacious approach and his highly developed marketing skills, saw him quickly earn a reputation as an agent who makes things happen. Although he possesses an array of practical skills it’s his ability to listen, and the fastidious manner in which he plans and prepares each campaign, that are perhaps the two most important. Alistair works collaboratively with his clients, ensuring their goals are understood, their circumstances taken into account, and their voice heard throughout the process. Having raised five children he also knows a thing or two about negotiation, and prides himself on his ability to close deals and deliver outstanding results. If you’d like to partner with a real estate professional who is both passionate and down-to-earth, and who has an exceptional track record in sales, then contact Alistair. My decision to employ Joy and Alistair as my Real Estate agents was amply rewarded. Joy and Alistair worked together as a team with their individual personalities and gave of their time and their special and unique gifts and expertise to give access to all that was needed to reach a satisfactory sale. Rev G. M. It took a lot of courage after 38 years in the home I loved to make the phone call to have my property listed for sale. From the very beginning, Joy and Alistair were star performers advising me the best way forward to achieve a desired result. Always immaculately groomed for the Open Homes and meetings with me, I learnt very quickly to trust Joy and Alistair. I was kept up to date every step of the way - phone calls day and night, comprehensive property reports etc. Exceptional service from them both. Margaret C. Joy and Alistair - Very enthusiastic and keen to go the extra mile and everything that was agreed on - happened. Five out of five stars for performance. Thank you. Derek & Louise. When you’re dealing with your biggest asset and the most important financial commitment of your life, there’s no room for error or oversight. Coming from a high-level management background I pride myself on my accuracy and attention to detail, ensuring my clients never miss an opportunity or find themselves wondering about ‘what might have been’. I’m a skilled negotiator, adept at establishing rapport with a wide range of people and working with them to achieve great results. Nowhere is that more important than in the auction room, a fast-paced, adrenalin-packed environment where my ability to think on my feet and adapt my approach as necessary invariably reaps rewards. I thrive on the sense of satisfaction that sealing a deal provides – it’s a signal that my clients are about to embark on a new and exciting chapter in their lives, and I go above and beyond the call of duty to make those deals come together. I’m professional and highly-organised, cool under pressure and always focused on the job at hand. Highly-developed interpersonal skills allow me to connect with people from all backgrounds, and I constantly communicate with every one of my clients to ensure they always know where they stand and what lies ahead. Away from the office, my young family keeps me on my toes, while my love of cycling keeps me fit and gives me a great excuse to get out and about in the fresh air. If you’d like to work with a motivated, results-driven real estate sales consultant then we should talk! Call me anytime on 027 588 4440, or email me on chris.moores@harcourts.co.nz . 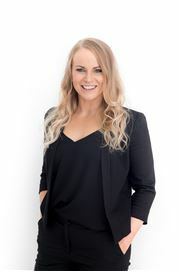 Following a very successful career as a Training & Recruitment Consultant in the UK, Claire made the move to NZ in 2005. 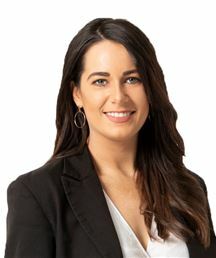 In 2007 she began working in the Real Estate Industry and has now built a wealth of both residential and commercial property sales and administration experience. 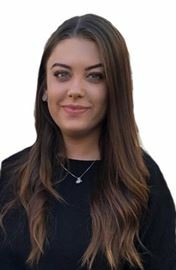 Claire loves the fast paced and dynamic world of Real Estate and enjoys the ‘human interaction’ that it brings. Perhaps uniquely for an experienced sales person though, she also enjoys the work that goes on ‘behind the scenes’ and has a strong eye for detail. This helps ensure that each and every transaction progresses smoothly and nothing gets forgotten about or left undone! A way with words and impeccable communication skills allows Claire to help market properties effectively. This, alongside a friendly and approachable manner, excellent relationship building skills and a “Can Do” attitude allow Claire to get the job done with the minimum of fuss. Claire has made the move to join Michelle Ward’s ever expanding team and take over the running of the office. She brings with her years of experience in effectively looking after clients’ needs. Working alongside Michelle and her team, they combine to make a knowledgeable and effective team with a belief in excellence – you can be confident in their ability to service all your Real Estate needs in a successful and stress-free manner. I have been a real estate consultant since 1997 & have considerable experience of working through all types of market conditions, selling in excess of $40million worth of residential property up until the Feb 2011 earthquakes. I am now pleased to be back in real estate following my very interesting 2 years with Recover Canterbury providing assistance to owners of small businesses dealing with challenging problems (including many property related!) arising from the EQ’s. I will be working closely with my partner Deb Beesley and will focus on assisting buyers while Deb continues to list & manage property for sale (where she is having great success-particularly with auction programmes). If you are considering upsizing or downsizing from your current home; buying a first home; looking for an investment property or land to build on please give me a call. We can then meet & discuss your requirements In detail so that I can use my expertise to source & take you to properties that fit your criteria. Harcourts has by far the largest slice of property listings in the Christchurch metropolitan area & I’m confident I will be able to find a property which meets your needs. There is no cost to buyers for this service- it’s completely free! All that I ask is that buyers work exclusively with me through this process. Whatever your needs - buying or selling - rest assured you will have our undivided attention and Deb & I will work hard together to meet your requirements. Josh came from a small rural Canterbury community and made the transition to the big city several years ago. 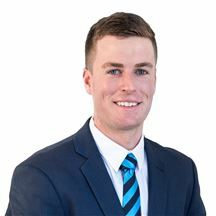 Before joining the team at Harcourts Grenadier Josh spent his time widening his network and obtaining a law degree where he first developed his interest in property. To Josh the challenge of Real Estate is exciting, it marks a major milestone and proud moment in peoples’ lives and to be invited to share in that experience with his clients is something Josh considers to be a privilege. Josh believes that to best achieve the goals and expectations his clients have it is of paramount importance that he understands his clients’ perspectives and positions completely. Through this, Josh seeks to provide a top-tier service to complete client satisfaction. Josh’s work is backed by his drive, enthusiasm to succeed and the passion he has for the industry. Call Josh today for a seamless Real Estate experience. Real Estate is all about relationships; about taking the time to understand your client’s needs, and being able to connect with people from all walks of life. I’ve enjoyed a rich and varied professional career, and my ability to establish rapport with a wide range of people is a direct result of this. I’ve also learnt how to provide exceptional service, how to inspire those I work alongside, and how to collaborate in order to consistently reach the best outcomes. If there’s one thing that’s helped me achieve results for my clients regardless of market conditions it’s my creativity. An artistic person by nature (I’m an artist, a published author and an avid foodie! ), my willingness to think outside the square and develop innovative strategies. In addition to my National Diploma in Real Estate I have hands-on experience in both property management and property development, providing me with a comprehensive understanding of every aspect of the industry. I’m a proud Cantabrian with a passion for the amazing lifestyle on offer in the seaside and hill suburbs. I’m also an active member of the community, contributing to a number of charities, and setting up my own charitable organisation, pay-it-forward.co.nz. I love to travel, spend as much time with family and friends as I possibly can, and believe in living life to the absolute fullest! If you’re looking for a salesperson with fantastic negotiation skills, a track record of success, and a forward thinking approach then we should talk! You can reach me on 021 353 280, or email me at joy.butel@harcourts.co.nz. My decision to employ Joy and Alistair as my Real Estate agents was amply rewarded. Joy and Alistair worked together as a team with their individual personalities and gave of their time and their special and unique gifts and expertise to give access to all that was needed to reach a satisfactory sale. Rev G. M. It took a lot of courage after 38 years in the home I loved to make the phone call to have my property listed for sale. From the very beginning, Joy and Alistair were star performers advising me the best way forward to achieve a desired result. Always immaculately groomed for the Open Homes and meetings with me, I learnt very quickly to trust Joy and Alistair. I was kept up to date every step of the way - phone calls day and night, comprehensive property reports etc. Exceptional service from them both. Margaret C. Joy and Alistair - Very enthusiastic and keen to go the extra mile and everything that was agreed on - happened. Five out of five stars for performance. Thank you. Derek & Louise. Liz prides herself on being an enthusiastic, energetic and honest salesperson with a commitment to ensuring her clients are always satisfied whether they are selling or buying. She derives immense satisfaction knowing that a huge percentage of her business comes from repeat business and referrals from past clients’ families and friends. With 25 years + experience with Harcourts she has several sales awards to her credit, Liz initially entered the real estate industry seeking a new challenge and has found that it is indeed a profession she thrives in. 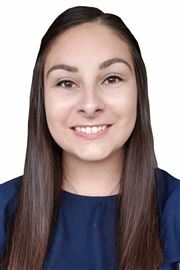 She has developed hands-on experience and a love of the property market through her many satisfied clients, whether it be first home buyers or retirees moving from their much loved family home. Throughout either process whether it be buying or selling her commitment to her clients remains the same. Liz offers friendly and personalized service tailored to suit individual needs, acknowledging a client’s home is often their most valuable and treasured asset. As a result, Liz always conducts the marketing and sale of each client’s property with the utmost care and attention. Liz believes the combination of her people skills and working from one of Harcourts most successful franchises, Grenadier, which has full access to the city of Christchurch and believes their company’s resources, advanced technology and real estate systems are the best available in New Zealand and that Harcourts extensive Christchurch network is a great recipe for success. Lynton hails from Southland and has a strong background in farming and primary industries as well as hospitality. He has spent the last twenty years in Christchurch raising his Daughter and enjoying all of the opportunities the great outdoors provides from boating and fishing in the sounds to skiing in the alps. 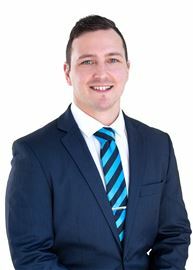 Lynton has a passion for property and is committed to the local area with a genuine interest in people which makes for a winning combination if you are looking for someone able to efficiently market your property or find the right house for you. He believes that buying or selling a home can be one of the biggest decisions you will make and it’s important that you partner with somebody local that you can trust who understands your needs from the beginning to obtain the best outcome. If you are looking for a friendly, down to earth professional who will work hard for you then look no further. “Buying or selling a home is one of those big life stressors. You want to go through that journey with someone you like and know has your best interests at heart. Mandi first started to appreciate properties when employed as a painter and plasterer post earthquakes in the Canterbury region. Having studied interior design she then transferred her design skills into the Bathroom field. Designing many bathrooms for Canterbury homeowners. These design skill were then transferred to the heart of the home and was applied to high-end designer kitchens. Through the consultation processes it soon became evident that Mandis greatest enjoyment was derived from the management of relationships with clients and successful outcome on projects. This encouraged her to pursue a roll as a Licensed Real Estate consultant where she would be able to provide the excellent service she has developed for clients looking to buy or sell their greatest assets. Mandi has a confident, outgoing personality and loves meeting, talking and dealing with people. She knows the importance of listening to and understanding the needs of her clients in order to create the outcome that is right for them. Whether you are looking to buy or sell - whether your goals are BIG or small - whether you are new to the sales process or have had experience in the field; Mandi would love to have the opportunity to meet with you and discuss your needs. Sophia Pratt-Miller has grown up around Real Estate most of her life. So it was only natural that, over time, she developed a true passion for the industry. With more than 5 years’ experience working with Grenadier, initially in a junior administration role before quickly progressing to a senior position, she has vast knowledge of the inner workings of property sales. Her enthusiasm, outstanding work ethic and dedication mark her as a rising star and should give all of her clients real confidence in her ability to achieve great results for them. The way Sophia sees it, Real Estate can and should be an extremely creative profession. “I love visualising what a property can be for someone and how they can adapt it to suit their lifestyle. I get so much satisfaction from helping my clients realise their dreams.” Sophia is proud to have the support of the Grenadier Franchise Managers and our very own NZ Champion Auctioneer paired with world class auction room facility to ensure the most professional and successful experience. Sophia’s clear goal is success for all of her clients. With great Real Estate, Marketing and inter-personal skills, she can be trusted to go beyond the call of duty to deliver for you. As a second-generation member of the Harcourts sales team, Sam has been heavily influenced by the Real Estate industry since a young age. It is clear to say selling is in his blood. Whether you are a first home buyer, an experienced investor or selling your family home, Sam will stand out from the crowd. With a background in fabrication, Sam has acquired a fine eye for detail and is always two steps ahead. Realising he prefers building relationships to building, Sam turned to Real Estate. Known for his relentless work ethic, kind nature and contagious, vibrant energy, Sam will make every step of your real estate journey a positive one. When Sam is not in the office, he can be found at one of the top boxing gyms in Christchurch training for an upcoming bout or training others. So, if you’re looking to buy or sell and want someone who will work extremely hard to get results, look no further than Sam Ansell. Over the years Steve has built a successful career offering his clients a true ‘client related experience’. Steve believes in the philosophy ‘clients come first in all areas of his business’. Born and bred in Christchurch, Steve and his wife are local Sumner residents. Having recently joined the Award Winning Harcourts Grenadier Team, Steve brings a wealth of knowledge and expertise for Buyers and Sellers. Having spent considerable years in people-based industries, and more recently within the banking industry, Steve can give real, meaningful advice purchasing or selling your greatest asset. Through his own personal real estate ventures, Steve has recognised a fresh, honest, customer-focused approach to the industry are the key ingredients for a successful client related experience. You will find Steve is down to earth, he enjoys working with people from all walks of life, and he genuinely cares about his client’s needs and prides himself on having their best interests at heart. Feel free to give him a call for a welcoming chat. Luxury home on the 'Flat'. Step inside for a surprise! Price Reduced - MUST SELL! HURRY - Bring us an offer! Enjoy A Surf Before Breakfast! As Is Where Is - What A View! Priced to sell - DON'T DELAY ! As Is Where Is Gem! As Is Where Is - 2 for 1 deal! 5 Years on and Family Gone! Great Views - Great Potential! Start Up or Wind Down! Must Be Seen, Must Be Sold! Have Built - Must Sell! Sadly Radley Must Be Sold! Great House - Great Value! Much Loved But Must Sell! Lap this up "As-Is, Where-Is"
It's All About Family Here! So Much To Play With! Looking for a big back yard? You'll Get More on Moreland! Make a brand new start! New job, new town - got to go! No Plan B, Must Be Sold! Looking for a 10% Yield? Must Sell - No Plan B!